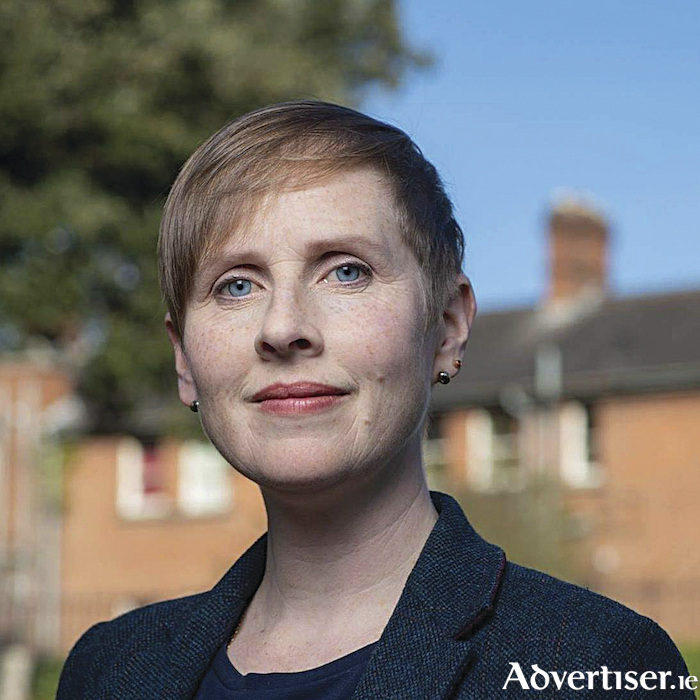 Pauline O'Reilly, Green Party candidate and spokesperson on children and youth affairs. Right now, Galway is stuck in gridlock at a transport crossroads. It’s no secret that we’ve got a transport problem, and unless we take decisive action, it’s only going to get worse. The fact is, Galway is a great place to live, work or study. Our growing population is placing an impossible strain on our transport infrastructure. The city has had a piecemeal approach to planning, with housing developments popping up where it suits developers, with little thought for their interaction with bus routes, cycle lanes or pedestrian pathways. Galway is currently looking at numerous inner city developments in the Docks, around Ceannt Station and Nun’s Island. But we’re not looking at extra ways to bring people to these developments and the services they will house. This needs planning to operate at the city and the regional level, not just building by building, and that includes transport. We need to make better use of our stunning coastline. Imagine if we had a greenway along the coast connecting the Prom with Barna. Not only would tourists be able to use it to access Connemara by bike, but the commuter traffic coming in from Barna and beyond would be eased, making a huge difference to all residents, whether they choose to cycle or drive. Cycling infrastructure within the city is another thing that we must improve. At the moment, even for those who live centrally enough to consider it, only the brave are able to cycle in Galway. We need to take the conflict away from bikes and cars by creating a joined-up network of dedicated cycle lanes and bike paths. Many community members are stepping up to the mark. “Cycle buses”, initiatives where adults help groups of children cycle safely to school, are growing in popularity. “Walking buses” have also popped up. Each of these represents a car off the roads in the peak morning time for traffic, and this is a win for all of us. But individuals cannot solve the problem alone. Buses are another big part of the solution. We need regular, dependable services from the commuter towns like Oranmore and Moycullen, that make getting the bus to and from work or study a realistic proposition for residents. At the same time, areas of high population like Knocknacarra need more frequent services that run on time and bus shelters to keep us dry. Park and ride has long been suggested as a solution to ease inner city traffic and I believe we need to get serious about this. Imagine if some of the regular traffic that flows in from commuter towns and beyond to work hubs like Parkmore was able to stop outside town and take a bus the remainder of the way. This would hugely ease some of our worst bottlenecks, making commuting less painful for our workers. Many community members are stepping up to the mark. “Cycle buses”, initiatives where adults help groups of children cycle safely to school, are growing in popularity. “Walking buses” have also popped up. Each of these represents a car off the roads in the peak morning time for traffic, and this is a win for all of us. No matter which solutions we decide are best, we will need to do it as a community. One thing is clear: we can’t stay at the current crossroads forever. We must find a way forward to beat the traffic, improve life for everyone, and keep Galway City such a great place to be. Tomorrow Friday February 15, we’ll be holding a community meeting called Let’s Get Galway Moving at 7.30pm in the Galway Bay Hotel to discuss possible solutions to our traffic gridlock. Please join me, along with Green Party leader Eamon Ryan, Galway City Central Ward candidate Martina O’Connor and former Minister and architect Cllr Ciaran Cuffe.